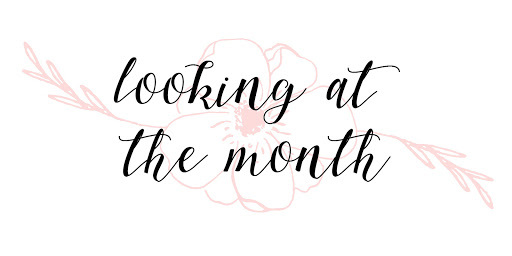 May’s Moments of the Month: December // It’s Now 2018 & I’m Not Okay + an Actually Somewhat Successful December?? Today marks the FIRST DAY OF 2018. I’m ??? fine ????? I mean I’m not saying I’m freaking out, but I’m freaking out???? It literally feels like it was just YESTERDAY that it was 2017. To be honest, 2017 was a pretty good year!! Of course, it had its ups and downs like all years do, but I was introduced to so many things & people and I’ll always appreciate that. December was a pretty GREAT month, despite the stress to read 100 books (which I managed)!!! School was off, I took a nice long break from writing, and I’m slowly climbing my way out of my reading slump. I read 9 books this month and I can confidently say that I’m slowly getting out of my slump! Of course, one of those books was one I’d spent reading for two weeks in November and finished in December, and two books were poetry, and one was a webcomic… BUT THEY STILL COUNT. and click on the star rating to read my review! Dear Martin Nic Stone // I’m SO SO excited to read this one, because I’ve heard amazing things about it!! Plus it’s said that it’s similar to The Hate U Give, and as I LOVED that one, I’m sure I’ll love this one. All the Crooked Saints Maggie Stiefvater // So this one is a VERY controversial one in the bookish community, so I’m not sure how much I’ll enjoy it?? But hey it’s pretty short so I’ll read it. Finnikin of the Rock Melina Marchetta // [not pictured because it’s UGLY] I didn’t get another book from this author as I promised (other) May, so I got this one instead. I’m… not excited. Also?? Remember when I told you in my last recap that I ordered 3 books from Book Outlet??? So I lied and didn’t actually do that, but that’s okay because I’m broke. 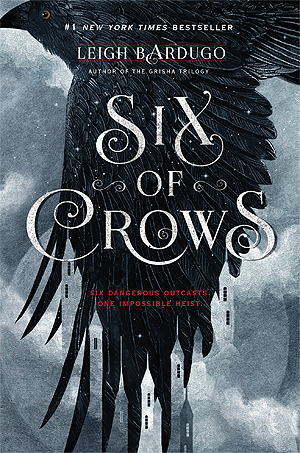 Y’all probably know what I’m going to say here: Six of Crows and Crooked Kingdom. Those are some of my favorite books EVER—the characters & their arcs are AMAZING, the plot is so well thought-out, and the pacing is just right. Leigh Bardugo is honestly a genius??? And I barely reread any books in general. But I want to REREAD THESE BOOKS ALL OVER AGAIN. I had a pretty good reading month overall, I think!! Which is really great because the past few months, the books I read were NOT good. My biggest disappointment would probably Renegades (like last month when I THOUGHT I could finish). Y’all, it took till after page 250 for THINGS TO FINALLY START GETTING INTERESTING. I’m not here for crap books like that!! Well this isn’t a review for a particular book, but I wrote a review of 2017 on Goodreads where I talked less about books and more about my personal life??? I think it’s the most I’ve talked about my life on the internet tbh. But it really meant something to get it all written down!! I surpassed my goal of getting to 1050 followers last month, which really surprised me?? I posted TWO TIMES LESS in December and I managed to get a lot more followers than in November??? I MEAN, I’M GRATEFUL. But like… what did I do and how can I do it again. I also have gotten the finalized blog design elements from a friend who offered to make them (and will be revealed later on)!! So now I have to make just a lot few more elements and fix up a few things and I’ll be able to implement the new design!!! top posts of the month? This was probably what you all expected, but I LOVED WRITING MY 2018 GOALS POST OKAY I KNOW I’M NERDY DON’T INSULT THE NERDS. Cait @ Paper Fury answers her blog’s search terms and it’s hilarious!!! I’d love to do that type of post but unfortunately a lot of the search terms are hidden?? 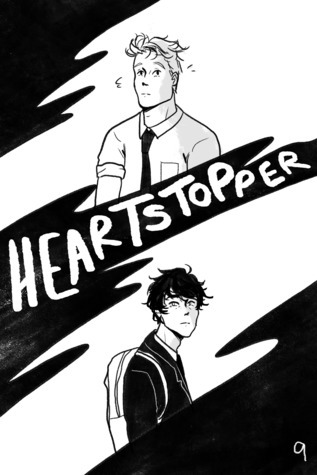 Ilsa @ A Whisper Of Ink won NaNoWriMo & gave us (amazing) snippets of her novel and no?? That’s not me screaming???? 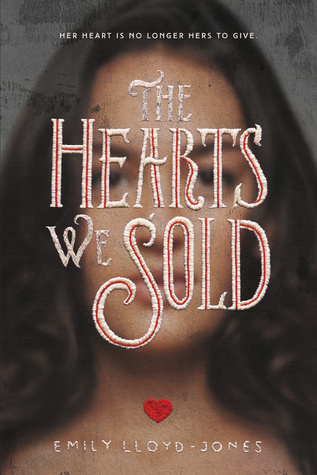 Laura @ The Book Corps wrote an AMAZING discussion/letter about what is happening lately with international readers and Goodreads & Netgalley. I highly encourage you read it to find a way to support international reviewers!! Amelie @ Scary Pear is back from hiatus and you all must go yell at her to never disappear again!!! *I don’t even know if this is an actual expression, but I’m tired and I’m fabulous so there’s a new creation from yours truly. I also was interviewed by the wonderful Etinosa, and you should probably go check it out because you get some Insider Information™!!! Along with my classic humor. And modesty. I was nominated for the Best Book Blog category in the Emmie Awards, which is a pretty great accomplishment if you ask me. I ALSO was nominated as Funniest Book Blogger (I HAVE ACHIEVED ALL I NEEDED TO IN LIFE) and Best Book Review Post in Megan’s “Best of 2017” Awards!! And then I was so kindly mentioned by the wonderful Joce in her “Blogger Celebration” post and I’m so blessed to be up there with all those other amazing bloggers!! And I know numbers shouldn’t matter as much, but for the last week of December, I made it to the US Best Reviewers List on Goodreads, and as someone who BARELY writes reviews, that’s a huge accomplishment to me!!!! Well first of all, I finished my first ever novel!!! I’m SO extremely excited and proud of myself for doing something I thought I’d accomplish YEARS from now, even though the draft is a total mess of crap. It’s not even the story of my heart or anything special to me, but it just means a lot that I finished A NOVEL. I’m really dreading having to re-plot, re-outline, and re-write it tho WHY DID I DO THIS TO MYSELF. Also just saying, but I’m really proud of my last line. “That is when Maire begins to scream”??? YES PLEASE. I also finally received my $150 cash prize from a writing contest!! They promised me that I would get it in October and I GOT IT IN DECEMBER. I mean, at least I got it. But where was all that money when I was Christmas shopping. I wrote more poetry!! And it was okayish poetry!! Here’s a tiny snippet of one because I crave validation!! It feels like the month of December just decided to pass by really fast and I can barely remember anything that happened??? Well first of all, I went to a dance convention, and while I was SUPER sore, it was so much fun!! I’ve definitely become less shy when dancing and hope to become even less shy. Performing was SUPER stressful, and I almost fell out of a lift thing (in which I was flipped upside down like a pinwheel), but it’s okay!!! We did okay!!! Then with my dance team, I wrapped presents for a a child foster care center where they packed up lots of things to send the child off with to their new home! The child I mostly wrapped gifts for the whole time was a 7yo boy who, wait for it, LIKED BARBIES AND MAKEUP AND EASY-BAKE OVENS. And like yes!!! This is my soft boy!!! I’m so proud of this little dude even though I’ve never seen or met him. Screw gender roles & stereotypes. Boys can play with Barbies. Girls can play with toy cars. Boys can wear makeup. Girls can NOT wear makeup. Society’s idea of “femininity” and “masculinity” are so mESSED UP and just let children & grown adults BE THE WAY THEY WANT TO!!!! I don’t remember when it was, but for the first time in seven years, IT SNOWED!!! I screamed when I found out and immediately went out. I was probably out there for an hour or something??? It was super super light at first, but then all of a sudden it started coming down harder!! There wasn’t enough snow to actually play in, and it was at night (hence why I didn’t get good pictures) BUT IT WAS SO AMAZING AND I LOVE IT AND I WANT IT TO SNOW AGAIN. I got my bathroom remodeled and it looks SO COOL. I mean, I kind of choke to death from all the steam in the shower, and then get hit by the blast of cold from the literal Arctic as soon as I step out, but whatever!!! Anything for the aesthetics!!! I had exams and they went really well!!! So far, I’ve gotten REALLY high grades and I’m super proud of that!! I’m also really surprised because I thought I’d done worse on certain exams but apparently no??? Then I took (and still am taking) a break from school and it feels like A WONDERFUL MAGICAL NEW REALM please can I stay forever and pretend like my responsibilities don’t exist this is so great never stop. And of course, there was Christmas where I got some pretty great gifts and gave cool (hopefully) gifts. I also participated in a gift exchange with my amazing friend and I got some PRETTY GREAT things out of that too!! LOOK I ACTUALLY ACCOMPLISHED THINGS FOR ONCE!!!! Just ignore those life goals. I’m going back to schooooooool. (Read a long whiny voice.) I’ll be heading back on the 7th of January and I’m!! not!! ready!! It was absolutely amazing to not stress about school stuff, and I am NOT looking forward to that pressure again. Here comes another semester (before SUMMER BREAK)!!! My ONE-YEAR BLOGIVERSARY is at the end of the month!!! Specifically, it’s on January 22nd and I’m so so excited for it to arrive! I don’t have any giveaways planned, sadly, because I’m broke. But I will probably be doing another Q&A, and it most likely will be the day that my new blog design is “launched”!! It’s the first month of the NEW. YEAR. I’m not freaking out about this at all???? I mean, I’m just not ready for the kind of commitment that comes with each new year… it’s literally like JANUARY: STICK TO YOUR GOALS OR YOU FAIL. And then February: okay guess what you’re not reaching your goals so you should just give up now for the rest of the year. I FELT LIKe 2017 was yeterday too! Well, not really. But I remember waking up on January 1st 2017 and thinking “wow, i got this” NOT KNOWING ALL THE TERRIBLE THINGS TO COME. wow i love ignorant me. 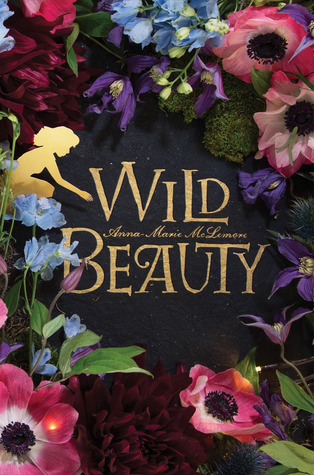 I AM SO GLAD YOU LOVED WILD BEAUTY!!! I mean the COVEr is grogeous AND the inside. ASDFGHJKL! 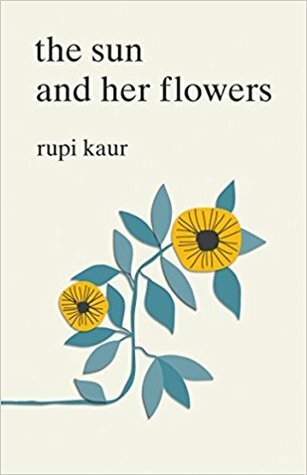 I’m more excited to read her books now. I DO want to read When the Moon Was Ours and The weight of feathers AGH. AND YES SIX OF CROWS AND CROOKED KINGDOM I want to reread them SO BAD!! I miss by babies so much tbh. And wow. I have so many unread physicalcopies I don’t think I’ll be using the library for a while UNLESS I AM DYING FOR A RELEASE. and wow you won so many 2017 awards! and i won….0? YOU NEED TO PUBLISH A POETRY BOOK NOW PLS. AAHHHH THAT IS SO COOL! That you wrappes presents for a child foster care center!! I did a similar thing in December where I wrapped a present for an ill child for Christmas!! Mine was a girl and I got her a jewellery kit I hope she liked it!! next month i will up my goodreads game and make new shelves, write more reviews, READ MORE BOOKS, and make more friends. hopefully. i don’t know if i’ll be able to read as much because school?? mine starts January 8th and I’m both excited/sad. (don’t ask why i’m excited i’m a huge nerd who likes school.) also i’ve gotten into a bunch of tv shows that are taking over my life and reading time. r.i.p. me. AWW THAT’S SO SADDDDD :(((( I’ve seen snow a few times where I live in Texas (two times when I was super young), but then I saw a WHOLE lot of it when I went skiing!! and whaaat snow is bad for the environment???? looks like you had a great month! I’m so glad. HAPPY NEW YEAR! and congrats on finishing the first draft of your novel. Good luck with all your goals! Knowing you, you’ll practically do them all! Aaahh thank yoooou!!! Happy New Year to you as well 💕 And fjdslfjd thank you so much!! Hope you have a fantastic month! I hate a house party (ugh, cleaning, so much cleaning), did you do anything nice?!?!?! I’m planning to read 200 books (lol help me), not sure if I actually will but it’ll be fun!!! BUT YES, BRING ON 2018!!!! 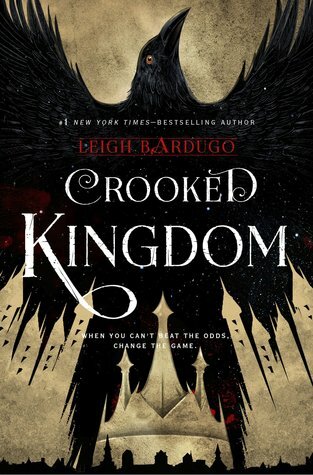 AH I STILL NEED TO READ CROOKED KINGDOM. I’ve had it for a full year, and I still haven’t even bothered to crack it open yet. I blame the fact that I’m literally awful at finishing series of any kind; someone help me. 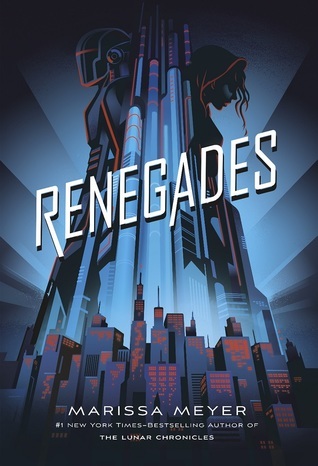 Aw, I’ve been hearing meh things about Renegades, but I’m still going to give it a try because I’m just too interested (and the physical copy is GORGEOUS gah). Also, yeah for a new blog design! I can’t believe I’ve stuck with my own for four months so far (that’s, like, a record for me), but I did try to find a new theme, and I ended up just sticking with the one I had before I changed it twelve times. XD And, yes, 2017 SEEMED LIKE IT WENT BY SO FAST. I feel like the last half of the year always goes by faster than the first half, for some reason. SO LUCKY TO HAVE SNOW. It doesn’t snow where I live until, like, February or late January, usually? It’s just freezing cold right now, and I hate it. Aaahh thank you!! My design hasn’t changed much (my theme hasn’t changed), so it’s definitely time for a change! And omg really??? I feel like the first half of the year went much faster than the last half (or maybe that’s because I don’t remember anything from the first half and I was slumping in the last half 😂). I have no motivation to write a monthly wrap up? I just did the yearly thing & my 2018 goals, and why do I need to write something for December??? AGHGHG, now I want to reread Six of Crows. But I have so much on my TBR, not sure I can afford a reread. And I’m rereading Order of the Phoenix, and that’s taking FOREVER. Also, your new bathroom looks so cool! & HOT??? HAHA, that was my lame joke. AAAHHHH THANK YOU SO MUCH!! That means so much to meeeee. 😭😘 And yesss, Six of Crows is such a rereadable book! I’ve been wanting to reread it since forever, so it was perfect. Congrats! So many wonderful things this past month! Life goals are always so much harder to keep than blogging goals, aren’t they? I struggle with that, too. Good luck with your January goals and happy New year! Ah, I had a pretty great December!! And oh yes, Renegades was just SUCH a disappointment and I’m so sad!! And yeah, that’s what lots of people are saying too?? So hopefully the sequel will pick up the pace much faster (which hopefully will happen with the cliffhanger it left us on!). 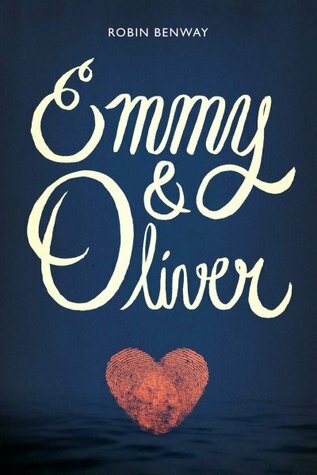 I'm so happy you read Emmy & Oliver, read Far From The Tree now, that book is SOOOO ADORABLE, really you will love it. HAPPY NEW YEAR TO YOU LOVELY!!! 💖 I hope you have the most amazing 2018 full of lots of edits & books. 😂 And aahh, I want to read Far From the Tree so bad! It looks SO GOOD. HAPPY NEW YEAR TO YOU, YOU LITTLE BEAN!! ❤ and bruh I finished Dear Martin yesterday, it was SO. GOOD. how DARE you lie about book outlet. that website is proof that a higher power exists and it is the only thing that motivates me to SURVIVE. sounds like you had a great month!! i’m so excited for your new blog design!!! *winky wink* OMG I’M SO GLAD YOU REREAD SIX OF CROWS KAZ IS LITERALLY MY FAVE SINNAMON ROLL BABY. and wild beauty! i’m so stoked and excited and ahhh. oh and what is that sneaky little thing about your writing?? i wanna know may !! I completely cannot believe it’s 2018 already…! I’m going do do a post with some goals, and if I was really on top of it it would have been up today, but… I’m not on top of it. At all. So instead not only is the post not up yet, but I still only have a rough idea what my goals are going to be… Oops. I’m not ready to go back to school, either, but one more semester and I’m practically graduating… with my AP Calc And AP Physics test the day right after. Ouch!!! At least I’ll be done, though, and then I’m off to a place that will determine How Much Blogging Time I Will Actually Have. But I’m really excited!!! I’m so sad that Renegades was a disappointment! I get the thing about crap books, though— I read Illuminae and thought it was super boring until it hit the 100 page mark and the plot twist happened. I’m so sad about how many people aren’t liking Renegades. 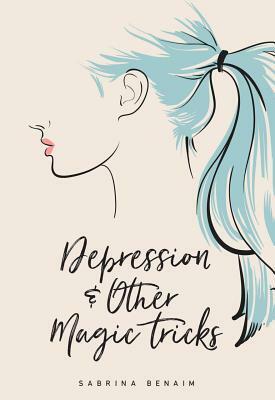 I haven’t read it quite yet but I’ve loved all of Marissa Meyers other books and I was excited to see what her writing was like without it being a retelling. I haven’t read Heartless yet, so I don’t know if it’s just The Lunar Chronicles that were good for me?? But I definitely think she’s better at writing retellings tbh. Zomg your post is so long and beautiful I forgot what’s I was going to say. WELPCONFRATS ON FINISHING YOUR BOOK THATS INCREDIBLE. AND ALSO THE FOLLOWERS AND BLOGOVERSARY BECAUSE ME = NO. I’m actually currently reading Finnikin of the Rock (and omg why is it so hideous)! And no it’s not fabulous. I’m actually halfway through and considering DNFing it? It’s just rather boring. Not bad, just not enthralling either. I know a lot of people love it though, so I’m wondering if it gets better? I haven’t decided what to do about that yet. Yikes. Good luck to the both of us! Thank you! Happy 2018 to you as well! !